I enjoy the freelance lifestyle in full. I work about 15 hours per week on clients’ project and that is how I pay my bills, cover my travel expenses (yes, I travel, a lot), invest in my startup ideas, and spend on my own side-projects and hobbies. I am very picky when it comes to choosing the clients I work with and the projects I take on – many novice freelancers consider this a luxury. I charge top dollar for my services and use price as one of the mechanisms to filter the bad apples among prospective clients who contact me on a daily basis. This is another luxury I have and novice freelancers don’t (yet). If I weren’t a successful freelancer, I wouldn’t have this blog that you came for advice to – because I wouldn’t have the time and money to run it, and because I wouldn’t have anything to share in the first place. In other words – I am living my dream life and I am offering three of you to pick my brain and find out how you can start living your dream life. Who is this Freelance 101 Coaching contest for? Everyone is welcome to join and send me a cover letter and their answers. However, I’d like to help three novice freelancers and give them a methodical approach how to lay a solid foundation for their freelance practice. If you are serious about becoming a freelancer but don’t quite know where to start and what steps to take, this contest is just for you. If you have done some work but don’t seem to be able to land your first project, this contest is just for you, too. Note that I will not teach you how to do your job though. This coaching session will not help you be a better programmer, designer, writer, marketer, virtual assistant or whatever your profession is. To really benefit from my help, you need to be good at what you do for a living and to believe that offering cheap labor with questionable quality to shady clients is not the right approach to freelance success. What does the free coaching session entails? If you are among the lucky winners, you’ll hear personally from me via email. I will send you a questionnaire to pin point the problems you have and to determine what help exactly you need. Then we will have a 60-minute one-on-one voice call on Skype to discuss where you are at, where you want to go, and how to get there. If English is not your mother tongue, note that you need to be fluent in spoken English. We won’t be effective if we don’t speak in real time so chatting on Skype or exchanging emails using Google Translate is not an option. How will I choose the three winners? There are two key factors which I will consider when going through your emails and picking the winners. First, I am looking for classic cases, so to speak – people who are in the very early stages of building their practice and struggle with problems which are common for most, if not all novice freelancers. And secondly, I will be on the look for your passion. I want to see in your cover letter that you are really motivated to succeed. (You cannot fake that, I promise!) From the answers you give to my questions, I will be able to tell if you are ready to work hard to change your life for good. If you are not committed to succeed or think that I will just put wisdom in your head and you will become a success overnight, then your chances to be picked are non-existent. 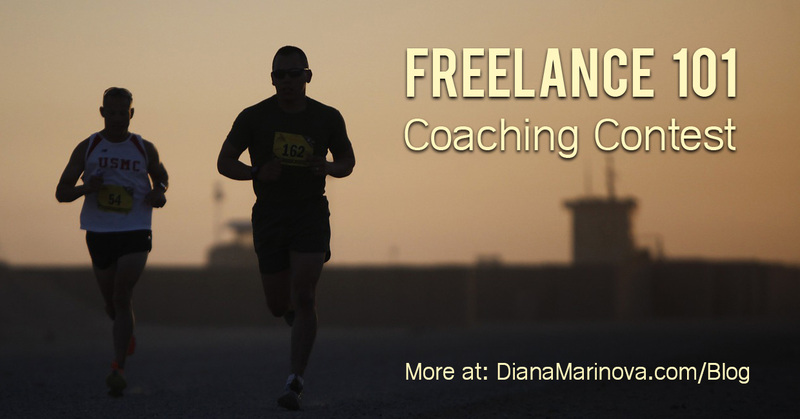 How do you enroll in the Freelance 101 Coaching contest? Send me a cover letter, explaining in a couple of paragraphs why I should pick you for a free coaching session. Then answer the following five questions – under each question I have included some details to guide you what the answer should entail. Be as detailed as possible. For example, do you want some extra cash to complement your day job income? Or are you in college, looking for some quick cash from your hobby? Are you looking for a way out of the rat race and the corporate world? Are you unable to find full-time employment locally and want to work online with clients abroad? Are you looking for a career change? Do you want to regain control of your time and life? Be honest – think about what inspires you and motivates you to go freelance, and tell me why you want to become a freelancer. For example, do you think it will be easy? Do you think being a freelancer equals quick and easy money? Or do you think freelance success requires some long hours and hard work? 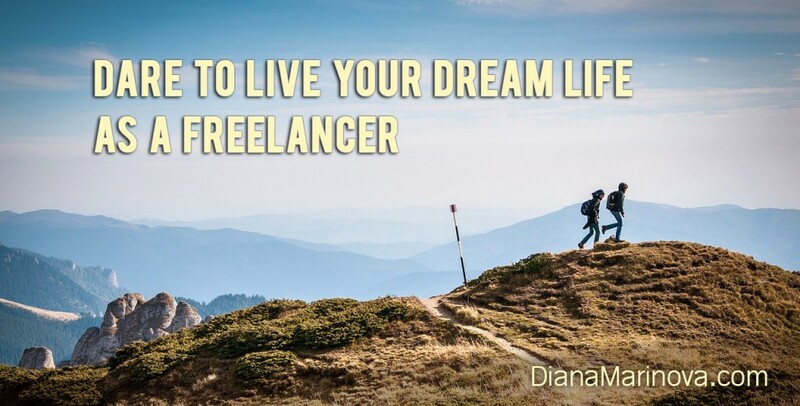 What are the lifestyle changes you think you’ll have when you become a freelancer? How would you define “freelance success”? Q3: Have you done your homework about becoming a freelancer? For example, have you read my blog? Have you read other blogs on freelance topics? If yes – which ones? Favorite posts and why? Have you worked on your skills – professional, personal, or other? Do you have a profile on LinkedIn yet? What about profiles on freelance job boards? Do you know what qualities you need to succeed as a freelancer? Which ones do you possess? Which ones you are yet to develop? Do you have a plan yet? Q4: How do you think you’d benefit from a coaching session with me? In other words – what do you expect of me as your coach? Do you think I can give you a secret formula and help you achieve freelance success with a magic wand? Or are you looking for guidance where to start? Do you have a specific problem you need help with? Be as detailed as possible – tell me what you expect to know or be able to do after a coaching session with me. Q5: And finally – what is stopping you right now from getting started or succeeding? For example, do you not know where to start? Are you overwhelmed with the information available online that you simply don’t know what the first step is? Or have you built a freelance portfolio and online profile but for some reason you can’t land your first project? Be specific – what is the problem you cannot solve just yet that is standing between you and your freelance success. Due to email overload, I probably won’t be able to reply to each and every one of you personally, I hope you’ll understand. However, I’ll read all emails and consider everyone for the Freelance 101 Coaching contest. The information I gather would be incorporated in my blog editorial calendar as blog topic ideas, case studies and other useful materials which I can share to benefit the whole community further down the road. UPDATE: I have extended the timeline of this contest so that more novice freelancers can take advantage of this opportunity. Don’t be shy – please, send your cover letters and answers to diana(at)dianamarinova(dot)com by Sunday, August 30. On Monday, August 31, I’ll announce the three people who’ll get a 60-minute free consultation with me via Skype. The consultations would take place in September or October. I am still establishing myself as a blogger so not at the point of working freelance. That day will come and perhaps I will be advising others as you are now. Diana — nice idea and very generous of you. I’m not entering because I’ve at this a long time. I’m sure the lucky winners will benefit from your experience. Diana – I have some clients & they ask me to write a sample page of copy just as a prototype or something — I’m a little abuzz about the whole thing as they check my linkedin profile & then they want me to show them how it’s going to work out for them. 2 clients approached me with this — just the way you did. The thing is I do NOT have copy on my copywriting website mentioned on my linkedin website except for a headline & a small line below it. Do you think it is because I do not have a sales letter on my direct response copywriting site that they are kind of being not sure or sure whether I am THE person they need to hire? I have known about a few copywriters who do not have a website & or samples but they still get the work they desire. What do you think is the problem here? Hi, Ronak – I need more information to be able to tell you what the problem is (a.k.a. feel free to enter the contest 😀 ) – however, having samples of the work you want to be hired for is important. Having published work or real-life examples and hard data to support your claim can do wonders with prospective clients. As to writing a sample copy page – you can do that, but don;t do it for free. If you like the client and they like you, you can have a contract for a trial piece so they can see how you two can work together, what results you bring, etc. Here’s a post about trials that might be beneficial to you. Dear Diana. At my age, >55, and with the years I have been a freelancer, I think I am on Freelancer 102 already. Still, I think your concept of a contest is brilliant. I am sure the deserving winner will learn a lot from the ultimate freelancer. You! My struggle is working out what to charge clients. Thanks in advance for any advice you have!